Revelación - Del lat. revelatio, -ōnis..
Manifestación de una verdad secreta u oculta. In an era ruled by technology, COMPAÑIA FANTÁSTICA gets its inspiration from the necessity to connect with everything that moves us physically and emotionally. A curiosity that is born as a revelation in the face of post-modern life conflicts..
Its fashion made therapy, a silent revolution. 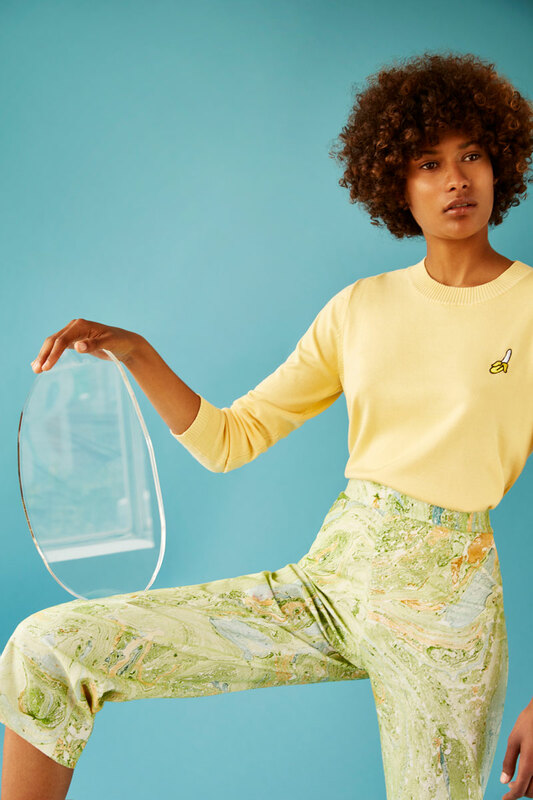 The styles in the SS19 collection foster a feeling of intimacy, where touch, colour and prints (the brand’s DNA) are used to influence the moods, generating energy, serenity, balance and passion. There’s an increasing interest in well-being, self-care and the enjoyment of free time that influences the way we dress. Under this philosophy we create pieces inspired by comfort and versatility. All-purpose pieces that work 24 hours and blend femininity with comfort and well-being. A universe where the maximalist aesthetic still prevails as an expression of individualism. 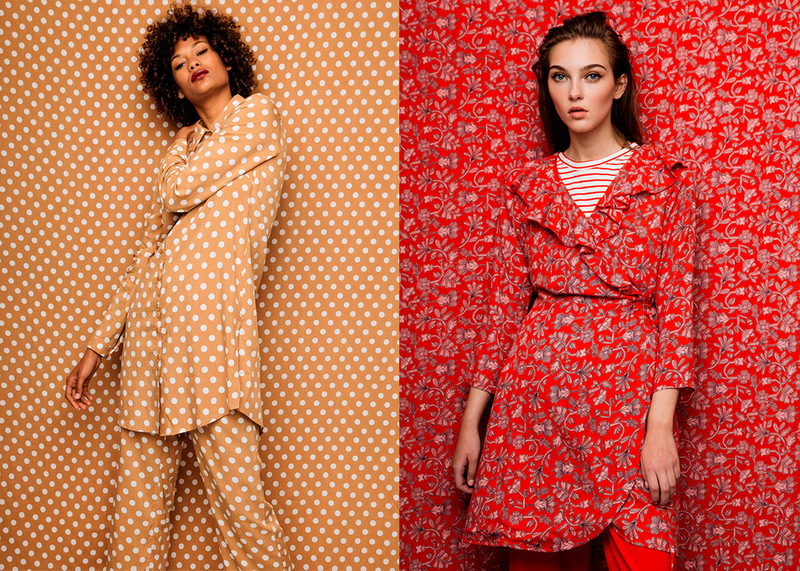 The mix of prints and the re-emergence of geometric shapes create striking looks where colour does the rest.. 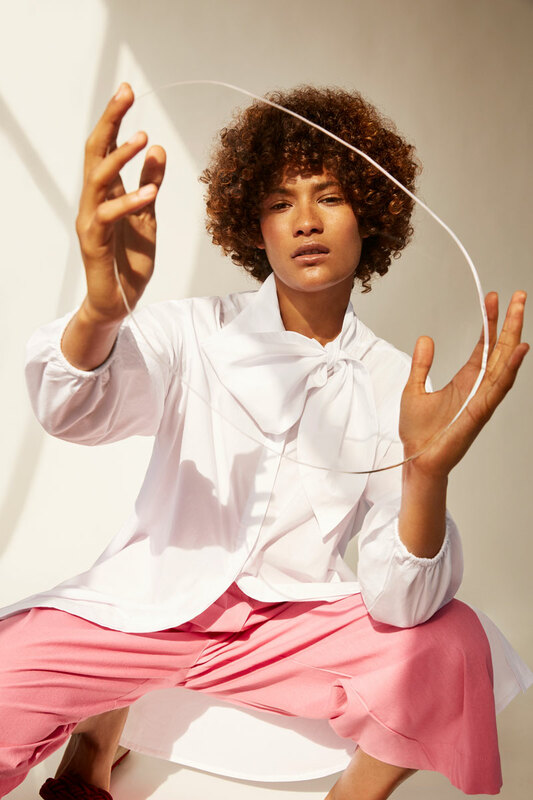 Influence from the 80’s and 2000’s, the softly deconstructed aesthetic and the return of feminine silhouettes that show skin form the central messages of the SS19 collection’s key pieces..
COMPAÑÍA FANTASTICA is about coorddinating, incoordinating and mixing. COMPAÑÍA FANTASTICA is about being yourself! 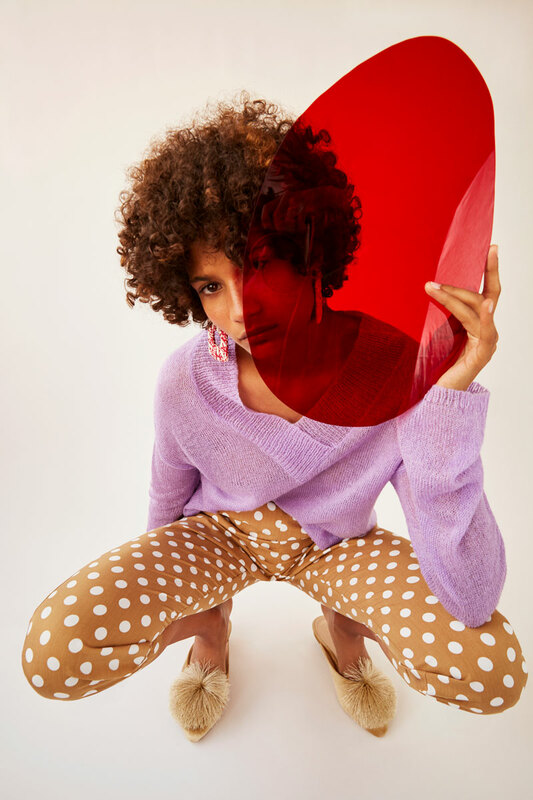 The Spring Summer 19 collection takes advantage of the psychological power that colour has over our state of mind and spins around the positive impact that lively tonalities have over our mood. The colour palette sets off with the primary colours; riot red, sunny yellow and cadet blue, accompanied by bloom lavender and vibrant green, being these last two the ones more in trend. - Riot Red, the color of passion. Transmits strength and represents happiness in many countries and cultures, just as this collection does. - Sunny Yellow, The colour of the sun. Not only brightens and enlivens, but also projects light, optimism and energy. - Cadet Blue, it’s considered as a favourite by most, not only for its visual richness, but for transmitting calm and stability. - Bloom Lavender, , it will be defined as attractive and serene in the SS19 season. In our collection it shows not only in prints but also in pieces of plain colours, but always in a particular way. - Vibrant Green, the color of balance. A hue that’s key for prints, given that it’s directly related ton ature. - The more original hues of lavender are softened and take on a hue that border on pink. They combine with yellows, reds and browns. - Brown hues return after passing long seasons in oblivion, and are renewed in unusual combinations next to yellows, reds, greens and lilacs. Long, light and free-flowing. 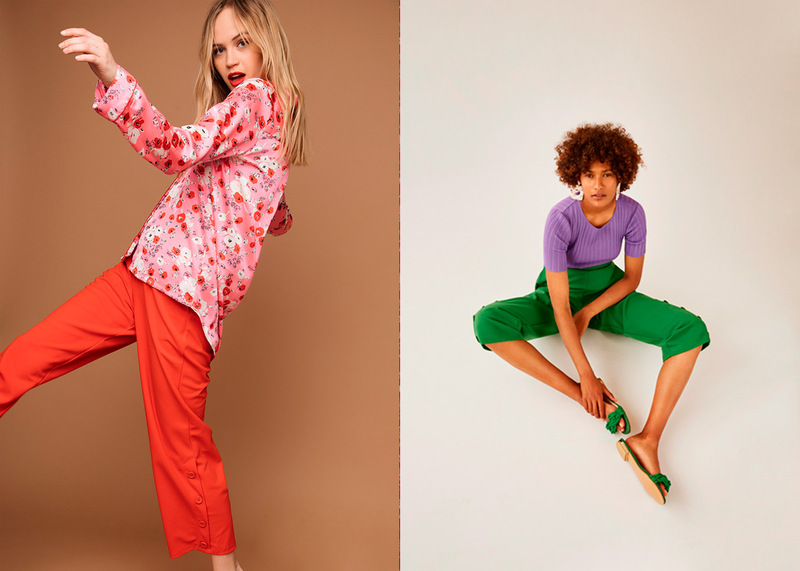 The SS19 collection brings a wide range of versatile and wearable shapes in bright hues and flashy prints. Midi and maxi lengths are still at the head of the trends. A-line dresses favour all figures. Layering creates a modern story of superposition for the summer, and the enveloping dress is updated with an urban touch. We stand for mixing prints with total freedom..
Light cottons are the obvious choice for the summer months, while satin moves the look from day to night. Light fabrics represent summer comfort and we achieve a sustainable standpoint with prints and designs that are the stars of the season. - Bodice tops and shirts with voluminous sleeves emerge as an innovative update of the popular country blouses. Frilled blouses and off-shoulder tops are reinvented. - Enveloping and robe-like dresses continue to be a success, given that they have been recreated in a great variety of styles. - Paper bag waist shorts come into play with gathered waistlines and bows to rise the look to infinity. - Pans have a great variety of legs. Wide shapes are still present and updated with clever details. The capri pant is as versatile as it is flattering thanks to its high waist and knee length that has a lengthening effect.